Grow tomatoes at Canberra Data Centre? 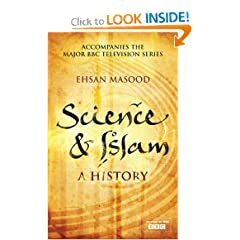 Science and Islam: A History by Ehsan Masood (Icon Books Ltd , 2009) gets a good review in New Scientist ("Time to acknowledge science's debt to Islam?, Jo Marchant 25 February 2009). Both the book and the reviewer look for explanations for science not being as prominent in the Islamic world. However, I doubt this is a real phenomenon and may be just bad marketing on the part of science. As an example I visited the Museum of Technology and Islam the day after it opened in Istanbul. By now I assumed I would easily find details of the museum and its fascinating exhibits on the web. But the museum seems to be hard to find and Masood's book has no mention of the Museum.